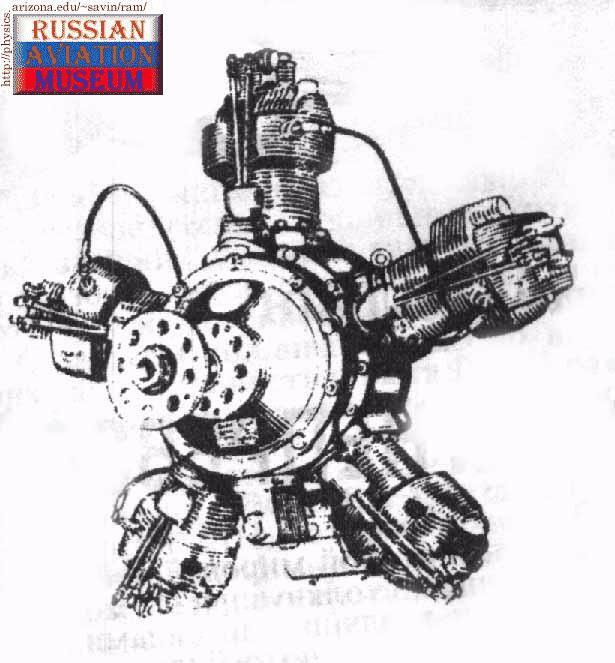 The Shvetsov M-11 is a five-cylinder air-cooled radial aircraft engine produced in the Soviet Union between 1923 and 1952. The Shvetsov M-11 was designed under a 1923 competition in the Soviet Union for a new engine to power trainer aircraft. It is a single-row five-cylinder air-cooled radial piston engine with aluminum cylinder heads. Like the American Kinner B-5 5-cylinder radial of similar size, the M-11 had individual camshafts for each cylinder, operating the pushrods, rather than a single central cam ring. The initial versions of the M-11 suffered from a short service life of only 50 hours. The basic M-11 engine had a power output of 100 hp (73 kW), the newer M-11D variant was higher at 125 hp (92 kW). The ultimate version, M-11FR, introduced in 1946, increased power output to 160 hp at 1,900 rpm on takeoff and 140 hp at cruise and had provisions for a variable-pitch propeller, accessory drive (for vacuum pumps, compressors, generators, etc.) and featured a floatless carburetor. The M-11 powered a number of aircraft, including the Polikarpov Po-2, Yakovlev UT-1, Yakovlev UT-2, Yakovlev Yak-6, Yakovlev Yak-12, Yakovlev Yak-18, Shcherbakov Shche-2 and Mikoyan-Gurevich MiG-8. It also powered the Polish LWD Junak, PZL S-4 Kania and Bulgarian Laz-7M (???-7? ). The M-11 remained in production until 1952 with an estimated total of over 100,000 engines made. Several hundreds of M-11D and M-11FR-1 variants were manufactured under license in the Polish WSK-Kalisz works in Kalisz. It was also used for the up-engined GAZ-98K, and as the standard powerplant for the NKL-26 aerosani propeller-driven sledges during the World War II years.